Friday March 21, 2003 my Mom and I watched in total disbelief as two Culver City Police Motorcycle Officers wrote tickets in a tag team fashion! The traffic light was out at the corner of Elenda and Culver Blvd. in Culver City. When we asked the officer why him and his partner was not directing traffic, his response shocked us to the core. It’s not my job, was his response! I finished taking my Mom on errands (she doesn’t drive anymore) and returned to the intersection with a camera. The Police had abandoned the intersection. I guess they had written enough tickets! The nearby schools had let out for the day. I watched in disbelief as kids tried to cross Culver Blvd. Police and Parking Enforcement drove thru the intersection. No one stopped to direct traffic. I recorded the intersection for over 2 hours. On Monday March 24, 2003 I took a edited copy to the Culver City Council meeting. The Council did NOTHING to correct this policy! Even after hearing from my Mom after the meeting. She had been injuried in the 1980’s when a faulty traffic light in another town was green in all directions. One year later on March 22, 2004 I went before the Council again. Told them it had been over a year since kids had ran for their lives trying to cross a Police abandoned intersection. The response from the Council… NOTHING! The Mayor gave me a wrap it up hand signal then the Mayor called the next speakers name. This original 2004 website had an embedded Quicktime video. This was in the days before YouTube. The video finally resulted in Culver City changing their policy about directing traffic. This website is now a launch point for Culver City TV on Twitter and Youtube. 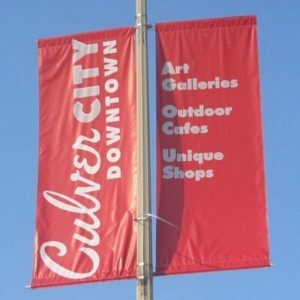 Be sure to check out the videos of what Culver City does when no one is looking.